I highly recommend Sue from ``Happy Home Painting`` for all your painting needs. I'm extremely picky and she met my seal of approval. In the future I will be contacting this company again for other painting tasks I would like to have done. They did an excellent job of painting with two very distinct colors. The edges where the two colors meet are very clean. Completed the job in one day and left no mess! The quality of work and speed of completion were great. We felt a little pressured when the contractor pushed to add other projects (which we had asked about as potential future projects) to the current job. After seeing how great of a job they did on my bedroom + entry, I was eager to have them work their magic in my kitchen. They arrived on time and did an excellent job. They went above and beyond with little requests I had. They are hard workers, reliable, communicate well, care about the little details, and are good people. We have used Happy Home Painting three times and every experience has been a good one. They arrived on time, clarified what we wanted to have done and had everything they needed for the job. The rooms came out beautifully and we had our pergola in the backyard stained by them as well. I have recommended them to a number of friends. We hired Happy Home Painting and Sue came out to paint our home which badly needed painting. It was a lot of work with high vaulted ceilings and a lot of trim that had not been painted in ......oh...let's say.....20 years. She cheerfully said it would be no problem to restore the beauty of our home and...SHE DID! It looks great for a reasonable price and we enjoyed her company very much and it was a pleasure to have her in our home. THANKS Happy Home Painting! Scheduling was easy and done quickly. They did an awesome job priming and painting the railings and columns on my porch and they did it for less than 1/3 of the cost of what another contractor wanted. I use Happy Home to paint exterior of my home. They really did great job in timely fashion. They were always available to answer my questions from start to finish. Their price is competitive. They did quality work. There are no surprises. I highly recommend Happy Home and plan to use them again in the future. Sue is highly recommended. She has the experience and skills and honesty that is rare among painters and I'd hire her again. Thanks Sue! I love this service and really wish I went with them the first time around instead of hiring someone from Craigslist. Happy Home Painting was able to quote me for my studio apartment which needed an additional coat of paint from the previous job I'd hired another contractor to do as well as an accent wall. I AM IN AWE of how well it turned out. They sent two guys who showed up here at 8 AM and it is now 1245 PM and they finished the job (I have a spacious studio). I will be using them again since I am also thinking of adding accent walls to my kitchen/bathroom in the future. Thank you for painting my home and bringing my vision to life! I hired the Happy Home crew to paint the exterior of our house and most of the interior. They worked hard and provided a quality experience. They were always prompt to answer any questions we had and worked hard to make sure we were getting the work done exactly to our liking. We will definitely hire Happy Home Painting Company again. Happy Home team removed wallpaper in the dining room, kitchen and master bath and then painted trim, ceilings, doors and walls. They were punctual, courteous and did a great job. Best price of the three contractors I considered. I would highly recommend them. Happy Home Painting is timely, affordable, and do about the best quality painting one could ask for. Had these folks do numerous projects here at the house and at another home I own as well. Been using them for several years now, wouldn't think of using anyone else. Happy Home Painting was able to quote me for my studio apartment which needed an additional coat of paint from the previous job I'd hired another contractor to do as well as an accent wall. I AM IN AWE of how well it turned out. They sent two guys who showed up here at 8 AM and it is now 1245 PM and they finished the job (I have a spacious studio). I will be using them again since I am also thinking of adding accent walls to my kitchen/bathroom in the future. Thank you for painting my home and bringing my vision to life! They have done a couple of projects for me over the last two years and I have been pleased with each. The price was below what I expected. The owner was responsive to my phone calls. I hope to have them back to do some more work this summer. 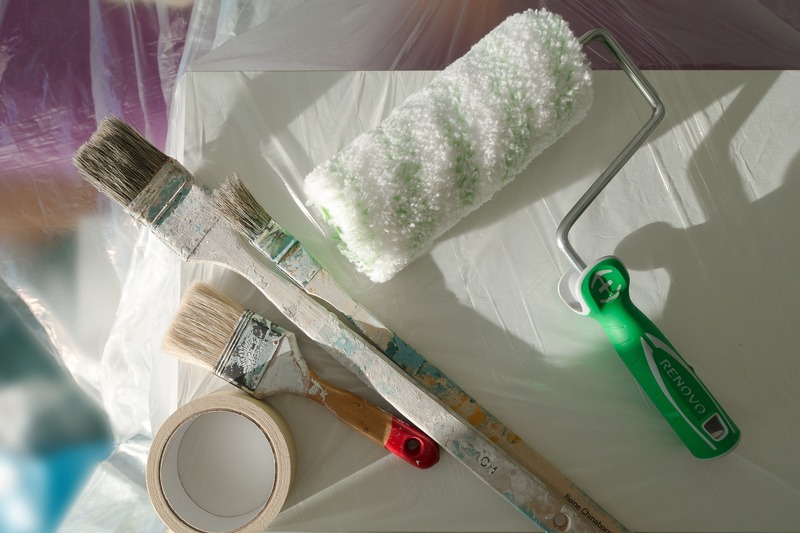 I would highly recommend that if you are looking for a painter for interior or exterior painting, you look no further than Happy Home Painting! We recently contracted with them to paint both our home and garage and couldn't be happier! The job was completed in a timely manner, at a reasonable cost and they made sure everything was cleaned up at completion. Give these guys a call! Happy Home Painting did a great job painting the interior of our new home. They were prompt, friendly, and professional. They were available on short notice and very flexible. I felt safe leaving my home with their crew painting. I had them do a faux finish in our foyer and it looks awesome! Happy Home Painting was a pleasure to work with. They stepped in when we needed to get work done at short-notice (because of problems with another contractor) and were friendly, efficient and professional from the get-go. They took unexpected changes in their stride, and figured out a way to access a difficult work area which kept the cost and logistical difficult of our project down. They also given great post-project support which I value very much.</p> <p>I'd definitely use their service again. The work Happy Home Painting provided was timely and the quality was amazing. The work provided was also very economical. I used them to powerwash and stain my deck paint my living room, front porch and install molding in my entire downstairs. I will definitely use them again. Happy Home Painting has done several paint jobs for us. The staff is courteous, professional and their work is excellent. We highly recommend them. The crew at Happy Home Painting took care of all the work needed to get my mother's home ready for sale and did a wonderful job. They were prompt, clean, courteous and worked with us to make everything look beautiful. I was in town for just a handful of days getting a house ready for the market and had the bright idea I was going to handle painting 5 bedrooms myself. I quickly realized this was a bad idea and started calling painting contractors hoping I could find someone to complete the work by the end of the weekend. I called Happy Home about 7:15 AM on Friday morning, they quoted me a great price and had a crew at my house just after 9AM! They were very professional and finished by the end of the day and it looks great! I highly recommend Happy Home. My experience with Happy Home Painting has been fantastic! Sue's attention to detail is impeccable!!! She has already painted an accent wall in my bedroom, painted my bathroom, and repainted some closet doors. There's definitely going to be more projects for Sue at Happy Home Painting! Thank you for your wonderful work!!! Great job painting entire interior of my home. Couldn't be happier with the quality. Thanks guys! Happy Home Painting was great to work with. They quoted me a reasonable price for several rooms compared to several other companies. It only took them 2 days to complete the painting and the 2 people who came out were wonderful, timely and did a great job - very thorough. They charge less than anybody. All others cost an arm and a leg to get a room painted. Those guys are the best when it comes to price. You can't beat their price. And the painting job is the best. Just be sure to ask the boss for Sue and Sam to do the painting. What amazing people! They don't waste a minute. They love their job and they do it perfectly. I plan on hiring nobody BUT Sue and Sam and I always go with Happy Home Painting. I am very pleased, deeply impressed. Had them paint my entire house with front and back porches. 4100 sq ft. They replaced rotted wood and also painted pergolas in yard. The estimate was better than any others. Not a bad job especially for the money. I would recommend them. I have always been pleased with the work I receive from them! Did a very nice job, finished in a short time, and was reasonable. Is definitely on my list for future needs. Happy painting homes is professional and very skilled painting company.. The workers are very polite and hard workers. I call them and all my painting needs are scheduled in a reasonable time frame.. The prices can't be beat.. I will be using happy painting homes for all my painting needs. Happy Home Painting team leave you satisfied. They are one of the best painting company's I have ever encountered.. I will definitely recommend them to everyone looking for a professional painting company..